Growing old is part and parcel of life, but not everyone has the perfect genes to grow old gracefully. Fine lines, wrinkles, sagging brows and drooping cheeks could turn a once beautiful face into a shadow of the youth. And this is the reason many people start obsessing with anti-wrinkle creams, lotions, serums and what not, the moment they turn 30! But beyond a certain age, these topical agents can’t do much and facelift remains the only solution for fixing those stubborn wrinkles. Venus Fat Freeze – Increase in dermal fibroblasts leading to collagen restructuring, it’s a combination of magnetic and radio waves. No resultant heat is produced. What can you expect from your non-surgical facelift treatment? Improved skin texture – Non-surgical facelift treatments aim to stimulate the production of collagen and elastin in the skin by stimulating dermal fibroblasts. This would result in a smoother, supple texture and appearance. Reduction in the number of wrinkles and fine lines – A wide variety of non-surgical facelift treatments are equipped to improve the appearance of wrinkles and fine lines. Your dermatologist can decide the best non-surgical facelift for your needs. Improvement in complexion – Some laser based non-surgical facelift treatments work by removing the upper layers of the skin in a carefully, in a controlled manner. This results in a noticeable improvement in the complexion of the skin. Youthful skin and improved circulation – Non-surgical facelift treatments tend to improve the circulation of blood in the skin of the face. The improved blood supply, and newly regenerated skin give you a youthful appearance. What are the steps you should take in the days leading up to your non-surgical facelift treatment? You should make sure you stop smoking at least six to eight weeks before you undergo your treatment. This will promote better healing. The best non-surgical facelift treatment for you will depend upon a number of factors such as your expectations, the condition of your skin, and the specific issues concerning your face. 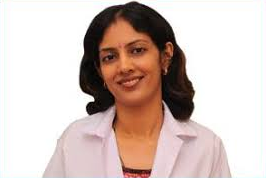 Dr. RInky Kapoor is widely experienced in conducting a variety of dermatological treatments. She is an excellent dermatologist and is the best person to advise you about which is the best non-surgical facelift treatment for you. Is non surgical facelift a real thing? Getting a non surgical facelift treatment, with Dr. Rinky Kapoor at The Esthetic Clinics, is a reality in today’s times. Now, you don’t have to go under the knife to reclaim your youthful facial skin with surgical facelift treatment. With non surgical facelift treatment, you can get all that without going for a facelift cosmetic surgery that can take months to recover from. Non surgical facelift can take the form of facelift creams that are either over the counter or prescription. If you are looking for more non surgical facelift options, then you can choose from Botox, Thermage and Laser therapy. All these non surgical facelift treatments have overwhelming positive effects. Ageing is a fact of life and the sooner we accept it the sooner we can prevent its signs from appearing on our face. Best facelift treatments today can help you keep the years away from your face. Best facelift treatments need not be surgical; there are some top non-surgical treatments which give the best results without going under the knife. Lasers: Lasers are not a exactly new method of treatment but some of the best modifications have been made recently that can help get you rid of the pesky wrinkles in an easy non-surgical manner. Vampire Facelift: When it comes to discussing best non-surgical facelift treatments vampire facelift is one of the top names that come up. Best Vampire facelift treatment is an aesthetic process. In this non-surgical facelift treatment process which is very simple. Patient’s own blood is used to derive the platelet rich plasma (PRP) which is a gel like substance. PRP is then injected non-surgically at several locations on the skin. The PRP is rich with stem cells which helps rejuvenate the skin and remove the appearance of lines and wrinkles. Best Non-surgical liquid face lift: Dermal fillers are injected under the skin to lift and contour facial functions to give you the best results. This is a simple method and various fillers such as JUVDERM, Radiesse and Restlylane are used in this non-surgical facelift treatment method. Whether or not the non-surgical facelift treatment method is the best one for you will be decided by your dermatologist or plastic surgeon. Make sure that you only go to the best surgeon for non-surgical facelift treatments to get you the best results. Wrinkles and lines on the skin are nothing to joke about and only the best and top surgeons will be able to suggest a non-surgical facelift treatment method best suitable to your skin type.